With Decktec, laying down a deck is now a matter of simply placing boards in the prepositioned spacings. Decktec provides DIY enthusiasts and busy tradies with a tool to efficiently construct their dream deck. It cuts down the cost of labour and time, in comparison to the traditional construction methods, and guarantees a perfect result through and through. Saddingtons is a certified stockist and supplier of Decktec products. With stock located in our Broadmeadow, Rutherford, and Boolaroo stores, you can easily give us a call or pop in to purchase Decktec products. 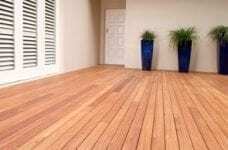 For more info about Decktec, click here. Saddingtons stock all your timber decking needs. 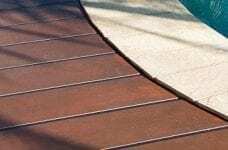 HardieDeck products are easy to work with and reliable, making them the ideal choice for professional builders, decking installers, designers and architects, DIY enthusiasts and homeowners. To view the HardieDeck website, click here.